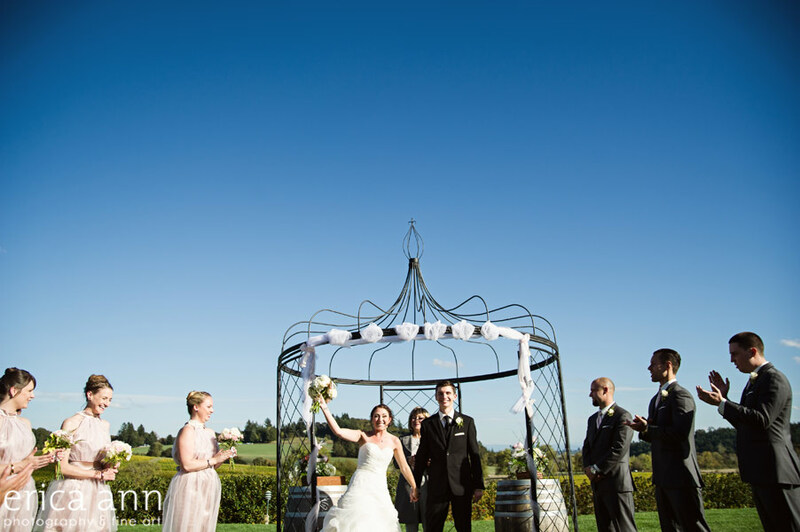 Aubrey and Nathan’s wedding announcement as bride and groom at the Yellow Gold Farm ceremony. So mostly, yay weddings! Enjoy! 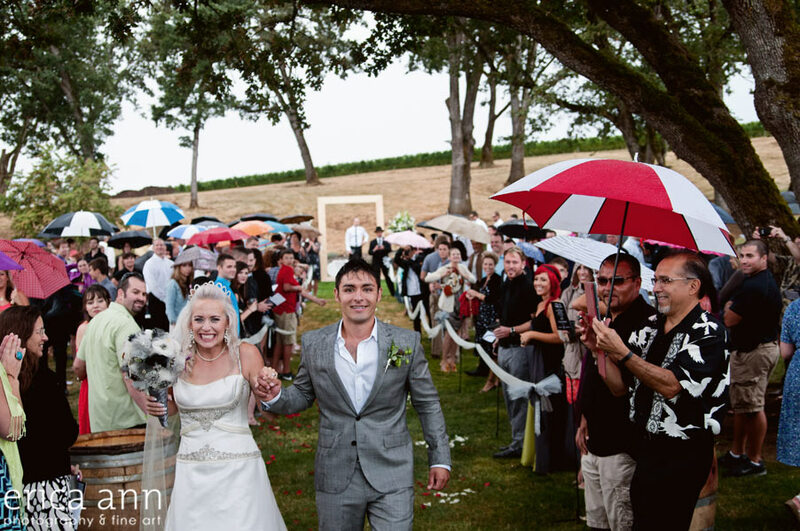 Rev Dee announces Mr. and Mrs. Murphy for the first time at Zenith Vineyards! I know, I know you really don’t want it to rain on your wedding day. But hey, look at these two! Can you imagine being any happier? Yep! You’re married now! That’s your husband! Aww… who doesn’t like a good cry? 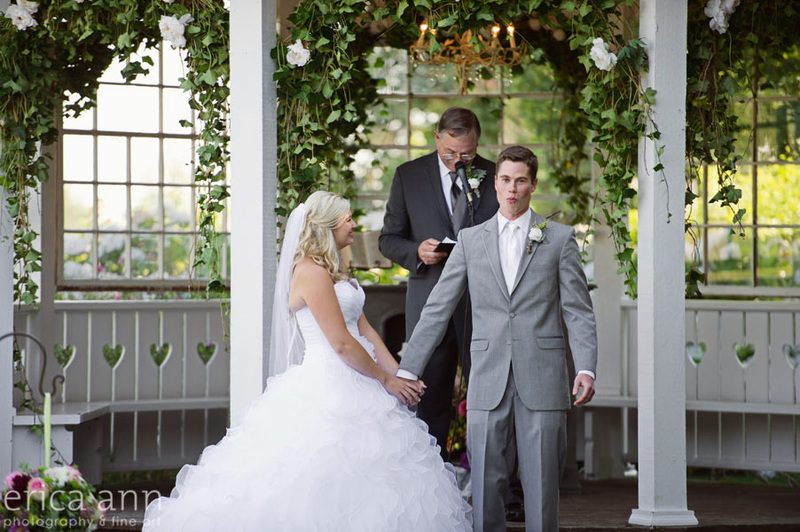 Drew had a few tears through his and Casey’s ceremony at Langdon Farms. 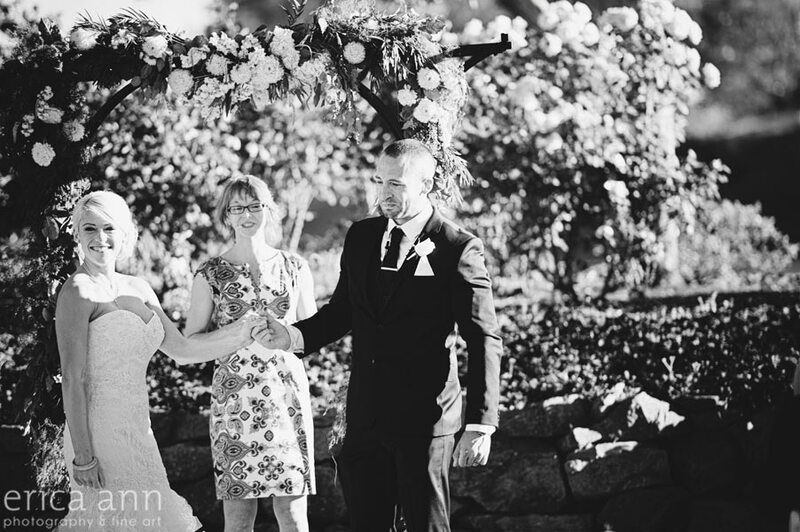 Bob and Amanda shared their first dance right after they were announced husband and wife at Cathedral Park. 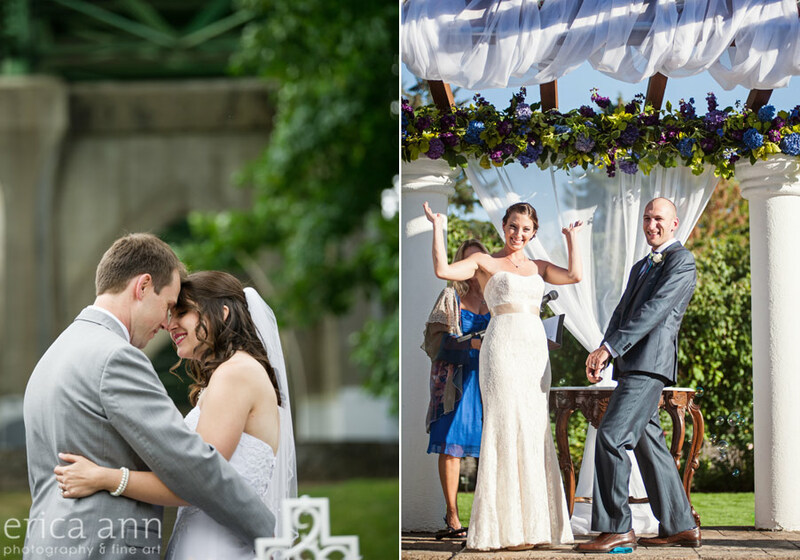 Sarah and Eric broke a glad to celebrate their nuptials. 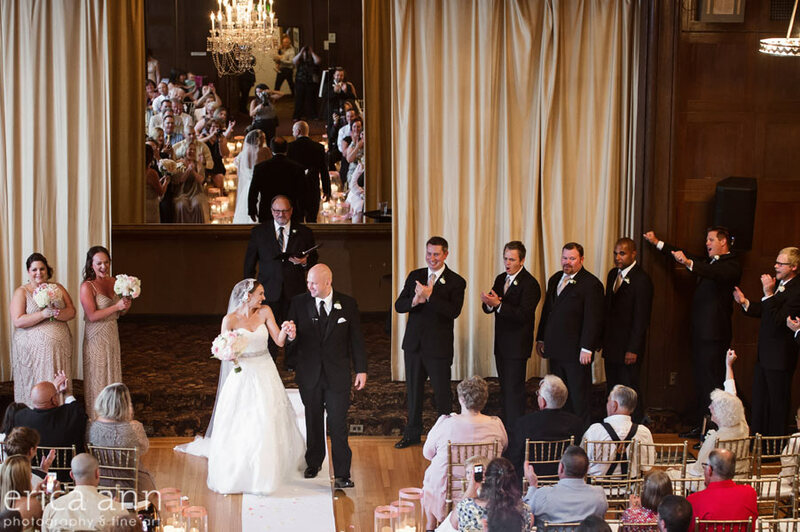 I love weddings at the Tiffany Center because you can go up in the balcony and get a great overview of the entire wedding! Sheila and Luke were led out of their ceremony by Sheila’s adorable nephew. 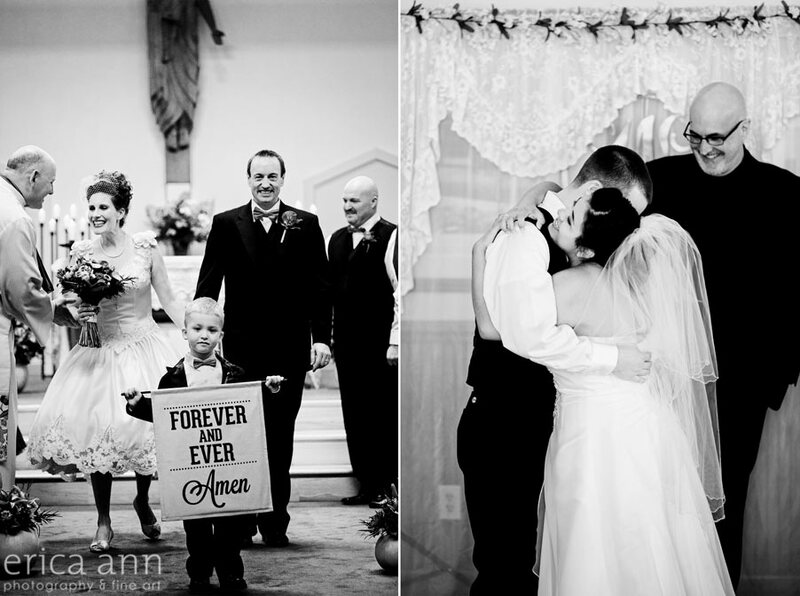 Maria gripped her new husband right after their first kiss! 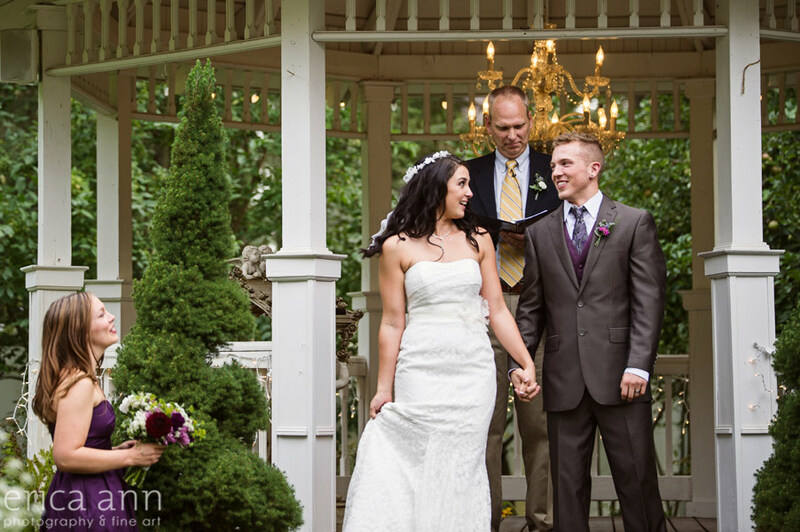 Anna and Jacob’s wedding at the Newell House Museum was so beautiful! Yes! Karla and Joe surprised everyone with light up glasses just after they were announced husband and wife. Why stick with boring traditions when you can have a little more fun? Yes! 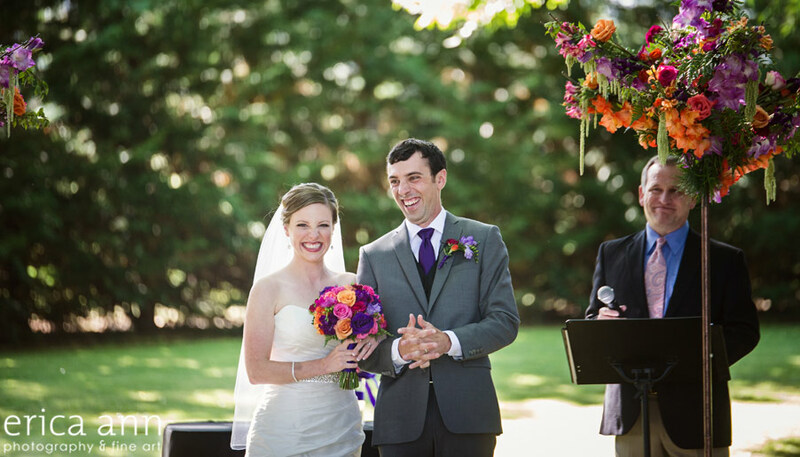 I think all wedding ceremonies should end with lots of petals! 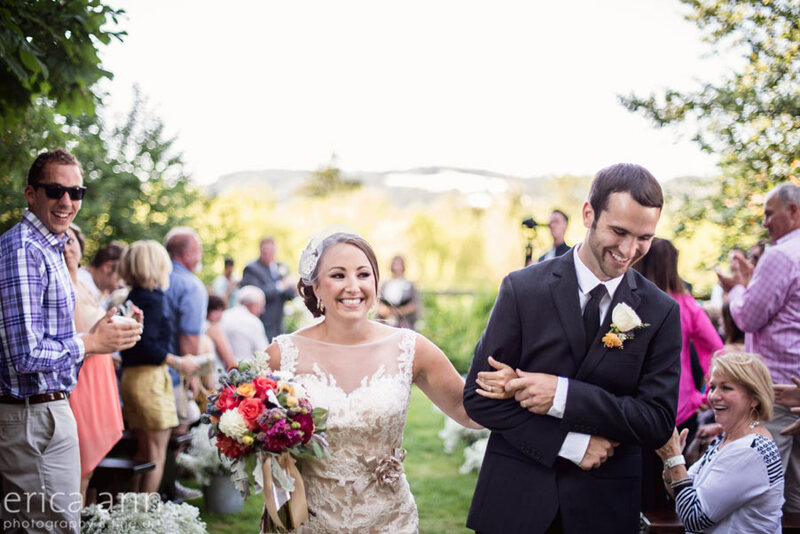 Michael and Amanda’s ceremony at Broken Top in Bend was gorgeous! Love it! 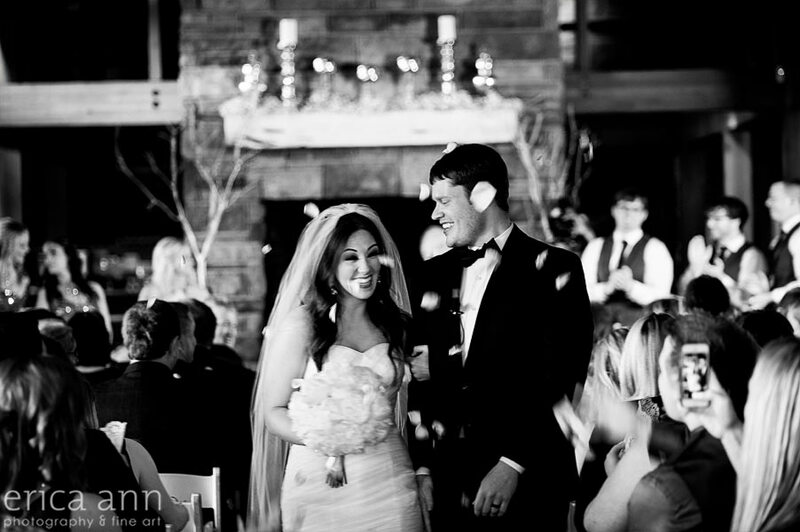 I love Jason’s face right after his first kiss with his beautiful new Mrs at Green Villa Gardens.